Registration has closed on the fourth of five starting flights in @WSOP Circuit Event 1 - $365 with $300,000 Guaranteed - and the board shows a massive turnout. That's 305 total entries for the 4pm starting flight. Add that to the 254 from the 11am flight and just for Friday, there's 559 entries. Add in 192 from Thursday's 11am flight at 131 more from Thursday's 4pm flight and this tournament is up to 882 entries. Saturday is anticipated to be well more than 500 entries once registration closes at 3:30pm. 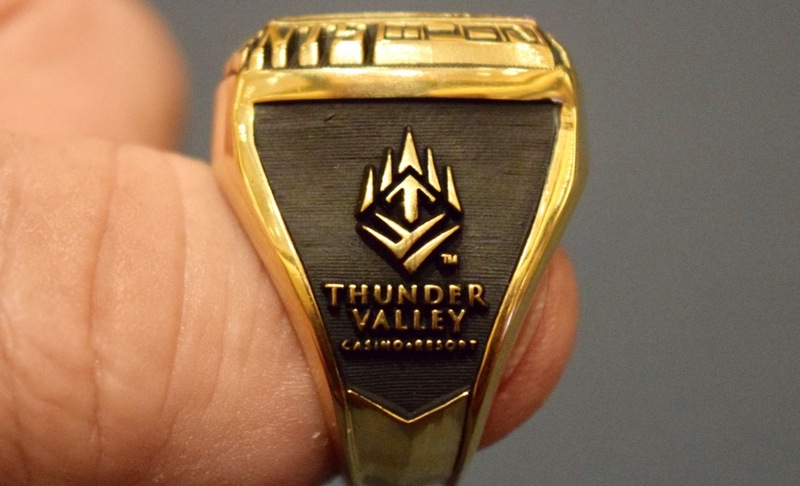 Stay with us tonight, tomorrow and for full coverage of all 12 WSOP Circuit Thunder Valley Ring events.